There more than a dozen different ways to make an authentic Fettuccine Alfredo Sauce, but most of the time, you’ll be using the same ingredients and a few simple steps. Fettuccine Alfredo is actually one of the simplest and most popular pasta recipes we have today. The cheese is probably the most important factor for the flavor in Alfredo sauce. 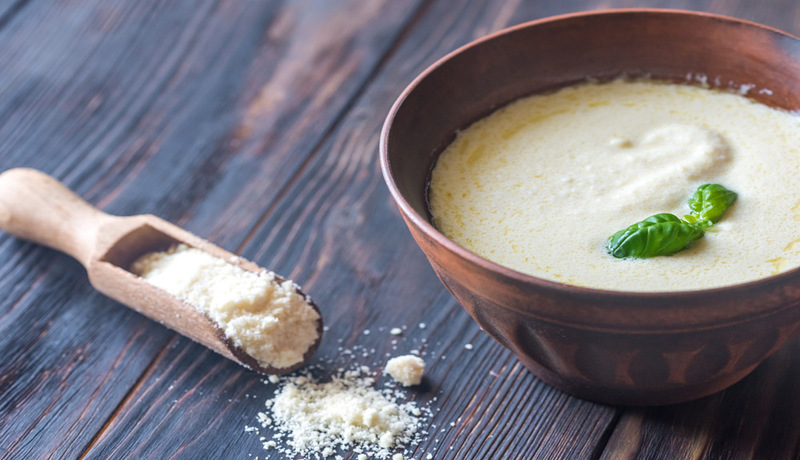 Many chefs claim a good piece of well-aged Parmesan Cheese is the secret to the recipe. In fact, if you select a good piece of Parmesan you won’t need to add any extra seasonings to the sauce. Find a Parmesan Cheese that is aged around a year or so. If it the cheese is too young, the flavor will not be strong enough. If the cheese is too old, the strength will be too distracting. Get together the ingredients below and prepare a bowl of Authentic Fettuccine Alfredo Sauce. *This will make the sauce thicker and more cheesy. Fontina is the preferred cheese. However, if you want the sauce more creamy and cheesy, add another 1/2 to 1 cup of heavy whipping cream to the recipe. *This will make the sauce’s texture thicker and give it a creamy and tangy flavor, although it makes it a little less authentic. If you do add cream cheese, make sure to add another 1/4 to 1/2 cup of heavy whipping cream. In a medium to large saucepan, melt the butter while the stove is on medium heat. Once the butter is melted, pour in the minced garlic or garlic powder. Let it simmer for 30 seconds to 1 minute or until the minced garlic becomes fragrant, not browned. Next, add the heavy whipping cream and milk. Whisk before the mixture starts to simmer. Then add the remaining seasonings and whisk lightly to combine. Lower the heat to medium-low before slowly adding the cheese(s), and make sure you whisk while doing this. Let the mixture simmer for 3 to 5 minutes or until the cheese is fully melted and the sauce is creamy with no lumps. Combine with cooked pasta and serve right away.